Click one of the above for more information. 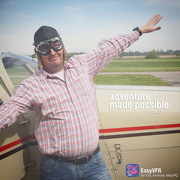 View a short EasyVFR demo clip here. Updated on 12MAR2019. Trademarks & copyrights are property of their respective owners.